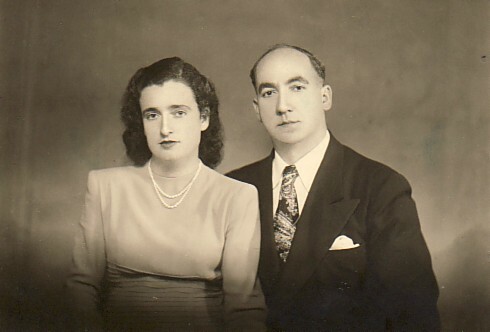 Above: The Kyriazis family. L-R: Aspasia and Meropy, Cleopatra, Kyriakos, Ioannis, Mihail and Pericles, Erifili (Cleopatra's sister) and Georgios. 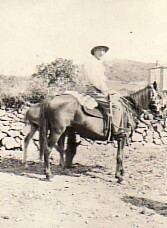 Above: As a young man, at the panygiri of Agios Haralambos. 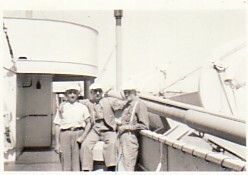 Above Right: Returning to Greece, 1947. Ioannis is first from the left. 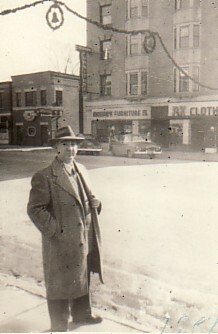 Above Right: Holidaying in the United States of America (1953). 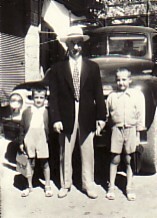 Above: In Agia Paraskevi, with his sons, Georgios and Ioannis.